Hello everyone, welcome. You may recall back in November last year I wrote a post about how you can change an established idea/trope/cliche/archetype in order to come up with some new story. I wrote about the movie Pontypool, where the classic zombie trope is changed to incorporate transmission by infected language. You can read that on the following Hyperlink How changing an established idea can work – the Pontypool Example. 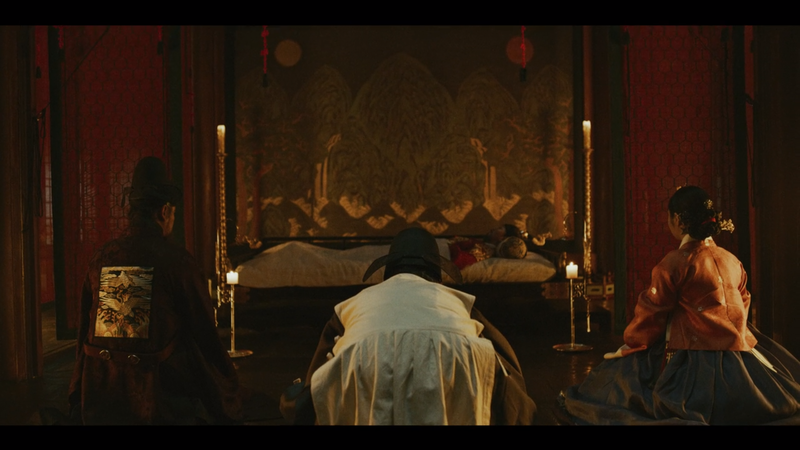 I recently watched the new Korean TV series, Kingdom which was a historic Zombie TV show and I noticed, as I watched, that there were a number of things the show did differently and the effects it had on the plot. I am going to go through those differences here. Two caveats. Firstly, there will be a lot of spoilers. I can’t talk about what the series did differently without telling you. I will mark the start of Spoiler territory and if you don’t want spoilers, you should stop reading at that point. Second, this post is intended as food for thought for writers and storytellers of all ilks (including, as ever, rpg). It is not a review, if you are looking for that you will need to look elsewhere. Don’t bother with the IMDB.com reviews as they are not especially useful. I am suspicious of any cluster of reviews that has loads of 10/10 and loads of 1/10. It always feels like someone pushing opinion and agenda with no thought to the purpose of review. Anyway, as I say it is food for thought for the storytelling person. It is not a “how to” post. I am going to draw your attention to things done differently so you can think about this and come up with your own interesting ideas. Ok, all done with caveats. Kingdom is set in historic Korea, possibly somewhere between the 16th and 19th century, and follows the story of the Crown Prince trying to discover what is going on with an outbreak of what ultimately turns out to be a zombie infection. For that part of the story, it is simple survival horror. However, his Step-Mother’s clan are trying to seize the throne away from him, the King being in a poorly state, so there is also a political intrigue plot and I will come back to this shortly. The first thing that occurred to me, no one uses the word Zombie. Now, I may have missed the odd mention of it here and there but people are certainly not running around screaming “Zombies!” Kingdom is not unique in this treatment of Zombies. The word zombie is never used in The Walking Dead either. I believe there are a couple of reasons for this. First of all, the word zombie is quite a silly one. That is simply my opinion, you understand so disregard as you like. However, it is also a word we are de-sensitised to. We have seen TV series and movies where zombies ravage the world and we know what it means. We are comfortable with the word and perhaps we shouldn’t be. By removing the word, the writers were forced to be more imaginative with their thinking, using phrases like “The dead rose”, which is more ominous. We also take away some of the understanding of what is going on if you remove a way to classify it, and this I will come back to several times. If we avoid using the word zombie and simply tell a story of creatures that exhibit certain symptoms, we still don’t really know what is going on. I think this brings me to my next point, relating very loosely to the lack of the word Zombie (in one way, but also not in other ways). Kingdom is a historic setting so the regular citizens are going to have less knowledge of what a zombie is, they are likely to be less able to classify what is attacking them and they have fewer weapons that can reasonably be brought to bear against them. With good acting, this creates believable fear onscreen that you can easily ride along with and enjoy. Another benefit of the historic setting are the limits on transportation systems. Without planes, trains and container ships to spread the infection, the zombie outbreak is theoretically containable and manageable which is important in another point I will need to make. In fact, there is a dramatic scene in a later episode where all the gates into the infected province are closed and the Imperial Armies take position to guard against the spread out of the infected area. This appealed to me because this meant there was a chance before the wasteland part of a zombie story happens. I’m not keen on wasteland fiction. Another trick that was used in this story was the introduction of the idea that the zombies were nocturnal. That isn’t technically true, as we later discover, but for the purpose of the series when the sun is up, they are hiding and when the sun is down they are rampaging. This cycle added two things to the story. One, it gave survivors an opportunity to gather themselves against the coming dark. Every hour daylight counted down to the inevitable sundown when the survivors would need to either have finished with all the bodies or be otherwise secure against them. It added tension. It also had a second, more insidious effect. And this plays on the historic setting and the inability to classify the threat. Thirty corpses (or thereabouts) are presented to an imperial governor as evidence that the dead rose and killed a whole bunch of people. Of course no one believed this because they were in their “not rampaging” phase. And since the word zombie isn’t used and the idea of the walking dead is statistically less likely to be known by general public in a historic setting (through lower exposure) , it is all to easy to dismiss the claims of a madman particularly when the so called rampaging monsters are just lying there. Until they wake up at night. By then it is too late. This penultimate point is the thing that most intrigued me. A main plot of the show is that the King is either deathly ill, or dead, and this leads to political turmoil. The Queen’s clan, led by the Queen’s father are trying to oust power away from the Royal Family and the Crown Prince through the Queen’s pregnancy. She is heavily pregnant for the entire series and once she gives birth, that offspring will be the heir and the Crown Prince will be disinherited. However, if the King were to die before the birth, rulership goes to the Crown Prince. And, behind closed doors, the King is ill and does die. However, the Queen’s clan has already called for a specialist doctor with specialist herbs that can revive, even from death. Of course, it isn’t life this medicine creates so much as it is unlife, however the historic setting and ignorance plays into the plot. If the king is still moving/shambling around his bed chamber then he must still be alive thus denying the crown Prince his birthright, then it is an acceptable measure in the short term to bring this horror of a zombie into existence. Zombies were created in this story as a political tool to seize power. Of course, it got out of control. My final point is perhaps less useful but really interesting to me as a student of literature and it relies entirely on the fact that zombies in Kingdom exist as a result of a medical treatment. Not as a result of witchcraft. This makes this historic zombie setting a science fiction rather than a fantasy. Sounds odd, doesn’t it? But a science fiction, according to a series of lectures I have just watched (You can find them on the Great Course website HERE), is a story where everything that happens theoretically could happen – it just may not have happened yet, or the technology to make it happen may not be discovered/understood yet. In this case, a medical drug of some description causes reanimation of dead tissue. Much like the T Virus in Resident Evil movies. It is easy to see them as Sci Fi, but in actual fact so is Kingdom by this definition. For reference, according to the same source of lectures, Fantasy is something that couldn’t happen according to our current understanding. And that’s it from me just now. All the best.